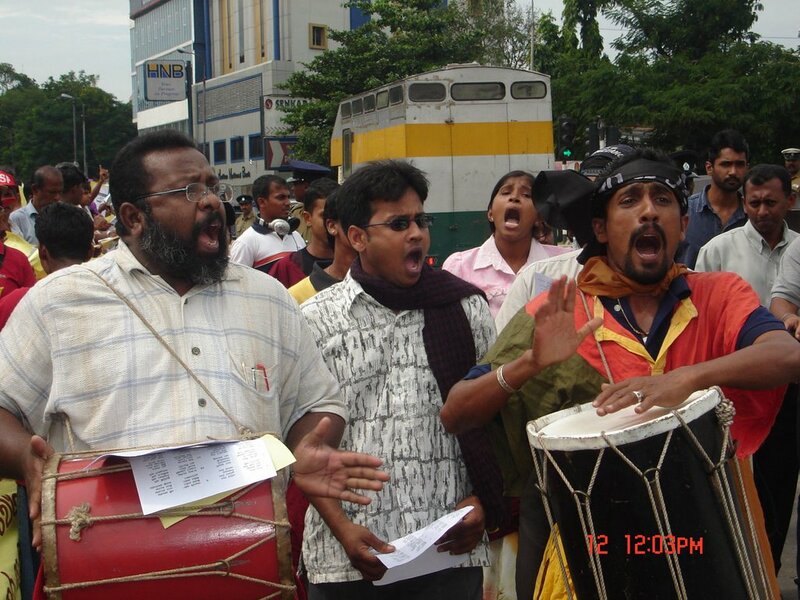 People to People Dialogue on Peace & Sustainable Development Network’s Coordinating office National Fisheries Solidarity has organized a big campaign at Lipton Junction in Colombo on 12th January of 2006 forcing the LTTE as well as to the present Sri Lankan government to start the peace talk immediately without killing people in the two sides. Though the soldiers and the Tamil civilians are being killed day by day the government has not taken steps to prevent this miserable situation. Therefore this net work has decided to hold this work to educate the all citizens also in Sri Lanka especially they should know what is happening in the country. Many none governmental organizations and so many leftist political parties were participating for the campaign in addition to that more than 2500 people marched to the “WIHARAMAHA DEVI” ground shouting at the top of their voice up to last meeting. 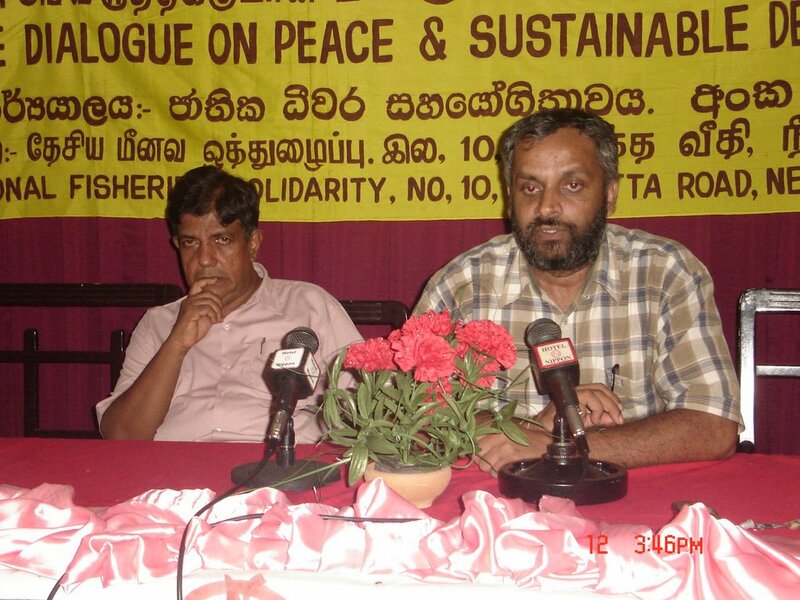 At the end of the whole protest there was press media conference at the hotel NIPON in Colombo. Especially the General Secretary of the World Forum of Fisher People participated to the conference. 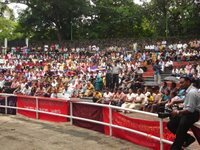 Finally we would like to emphasize to the universal to be aware of the worming war condition in Sri Lanka and to join in hands with us to force the both LTTE and the Government to stop killing people and come to a clear agreement by starting peace talk with the help of the international involvement.